Online retailer Amazon is expanding its free shipping offering, this time to include smaller items. On Tuesday, the company announced the launch of Fulfillment by Amazon Small and Light, a new program that offers no-cost shipping on all items that weigh 8 ounces or less. 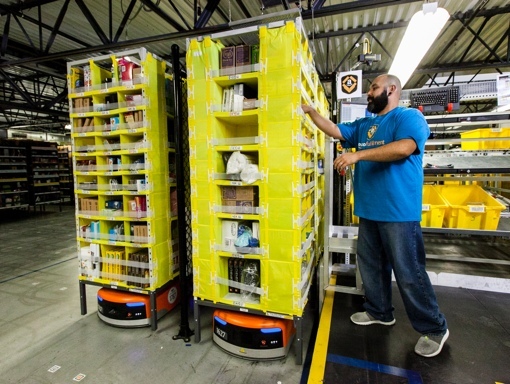 Products ship from an Amazon hub in Kentucky, with delivery times estimated at between four and eight business days. The new program makes a lot of sense for Amazon. Shipping small items is inexpensive for the company already, especially if the fulfillment work is concentrated in a single hub. It’s unlikely that the company will make a lot of money selling small trinkets, but the offering will keep customers happy – and coming back for larger, more expensive and profitable items. Amazon has been on something of a tear lately, announcing a constant stream of new services and benefits for customers. The company now offers Sunday delivery in multiple areas and 1-hour delivery in New York City (along with Atlanta, Austin, Baltimore, Dallas and Miami). It also has a new Amazon Prime Pantry household bulk goods delivery service, soon with its own brand of no-frills grocery items.